A quick Weibo roundup this time, but with a good share of celebs getting silly, celebs getting hitched, and one celeb getting mistaken for his spouse’s parent. Some of you have probably heard of the song “Descendants of the Dragon” (龙的传人), originally written by Hou Dejian and later covered by several artists including Wang Leehom. 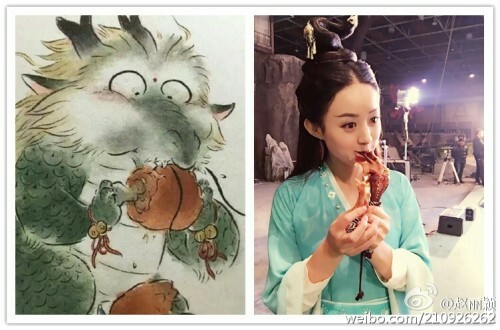 Well, it seems being a descendant of the dragon also means having a voracious appetite, as adorably depicted by Zhao Liying. 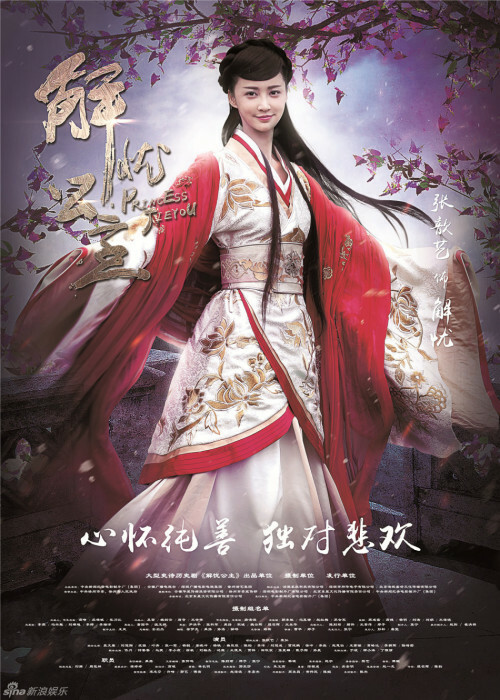 Princess Jieyou, starring Zhang Xinyi, Yuan Hong, Yuan Wenkang, and Liu Guanxiang, is set for release today, February 18th. Despite not releasing many new promotional materials other than a few stills, we thought we would still make a post. Princess Jieyou, starring Zhang Xinyi, Yuan Hong, Yuan Wenkang, and Liu Guanxiang, has released a third trailer and seems to be set to join the release avalanche on February 18th. This one seems to be of nicer quality and is 20 minutes long so… duh… SPOILER ALERT!! Click at your own discretion. The biggest news this week? Fan Bingbing and Li Chen announcing last Friday that they’re in a relationship. 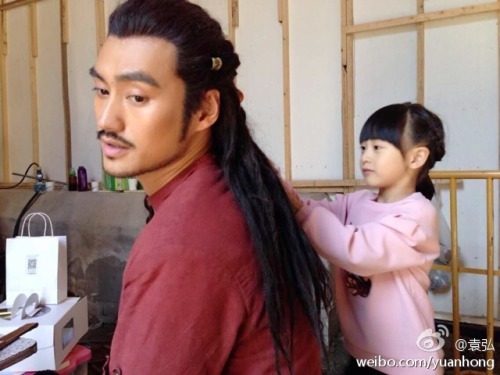 The two got close while filming The Empress of China (武媚娘传奇), though they didn’t portray a couple in that drama. This is the first time in her 19-year-long career that Fan Bingbing has publicly admitted that she was dating someone. Their fairly low-key approach to announcing that they were dating — they simply uploaded a photo of them on Weibo with the caption “Us” — has been replicated throughout the Weibosphere in the few days since. Most of the usage has been tongue-in-cheek, such as Jiro Wang with the Incredible Hulk and a random netizen who somehow got actor Lee Pace to hold up fake marriage certificates with her. Anyway, congratulations to Fan Bingbing and Li Chen, and I hope they don’t let all the rumors about their past relationships drag them down. 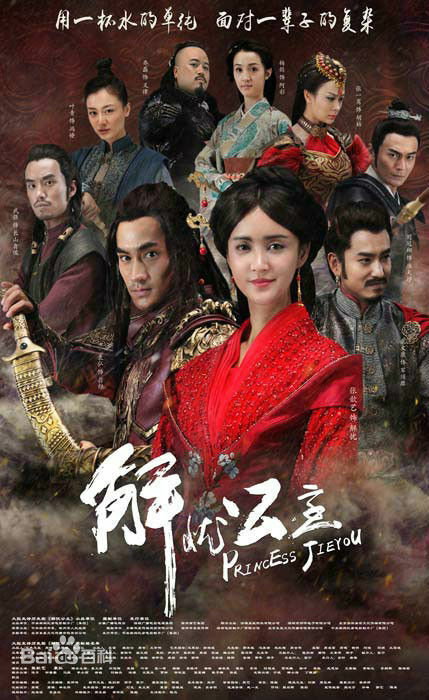 Princess Jieyou, starring Zhang Xinyi, Yuan Hong, Yuan Wenkang, and Liu Guanxiang, has released another trailer. This one seems to be a bit more nicely done and focus more on the relationships that the Princess comes to establish in her new home as well as more of the costumes, which is always a plus. One more still below the cut… since I’ve had a terrible time trying to locate more. Street-style photoshoots from new movie stars Ou Hao, Huang Xuan, Yang Mi’s crew of Dilireba et al., Zhang Yimou’s new actress Zhang Huiwen, newly divorced Zhang Xinyi, and a flashback to the cuteness that is Cindy. that journey too quickly. We must linger with this staring point and not rush on too soon, seeking relief from its horror. How long must we linger? An eternity, perhaps.” – Robert Brown in the preface to Night. Based on the same book by Yan Geling as The Flowers of War. The Forty Nine Day Memorial 四十九日·祭 will air in time for first National Mourning Day of the Nanking Massacre. Featuring the younger Song Jia, Hu Ge, Zhang Jiayi, and Zhang Xinyi (the same girl from the film), the adaptation is scripted by author Yan Geling and will follow more closely to the novel (i.e. without Batman the random white savior). 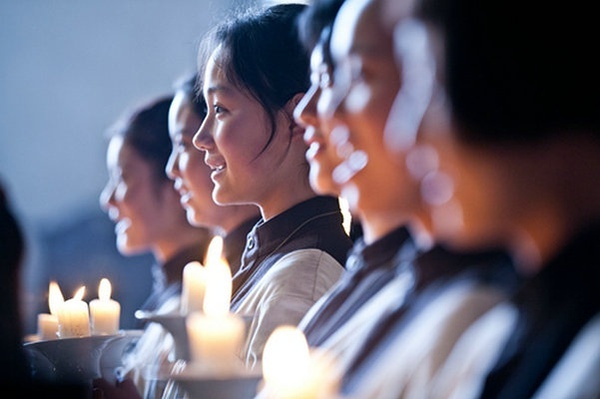 Director Zhang Li is known for his critical and nuanced treatment of history through masterpieces like Ming Dynasty 1566 大明王朝1566 and The Road to the Republic 走向共和. Given that I’ve burst into tears every time I’ve seen a trailer, we’ll see if I can last the series. The series airs on December 1st. On second thought, maybe long trains and hyper-extended robes aren’t the most suitable for nomadic life. 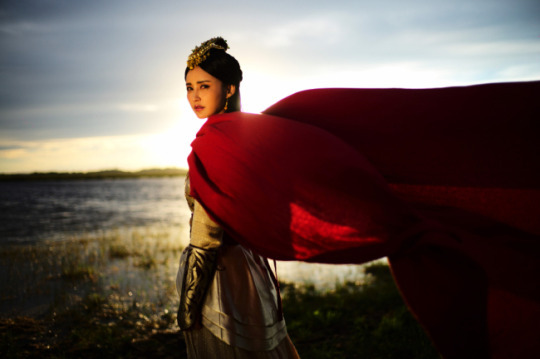 Princess Jieyou, starring Zhang Xinyi, Yuan Hong, Yuan Wenkang, and Ye Qing, has released character stills, revealing more about their costuming before the end of October. The stills feature costumes drawing influence from Chinese, Turkic, Mongolian, etc. and most likely even some modern influences thrown into the mix. For those of you late on your Halloween costume planning, perhaps you can draw some inspiration from the stills below. Either way, more stills below the cut. I talked with Ms. Cindy, the new hair stylist, about which stylist has the best braiding techniques. 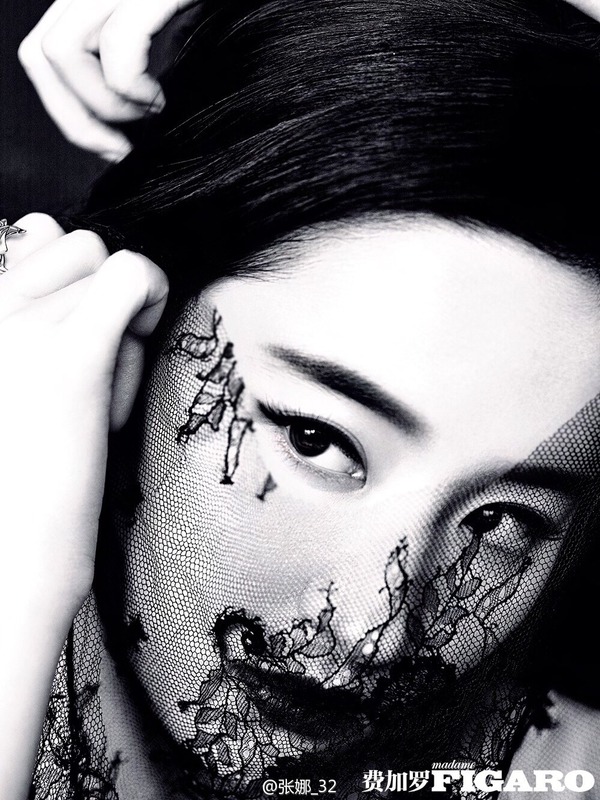 She said that she only came to visit her second aunt @Zhang Xinyi and bring her a rainbow cake, and she didn’t want to discuss too serious topics, and then… I was unsuccessful in my attempt at a stolen kiss. A lot more cute pictures at Yuan Hong’s Weibo, and for those who want to see more of Cindy with her dad, she and Tian Liang recently did an adorable outdoors photoshoot.